Presupposing God’s Will or Providential Balloting? Election cycles run a course that neither trim the runner nor inspire the spectator. Instead, our minds become overcome with campaign slogans, media rhetoric and political jargon that wear out the public and drag the contenders through the proverbial mud. 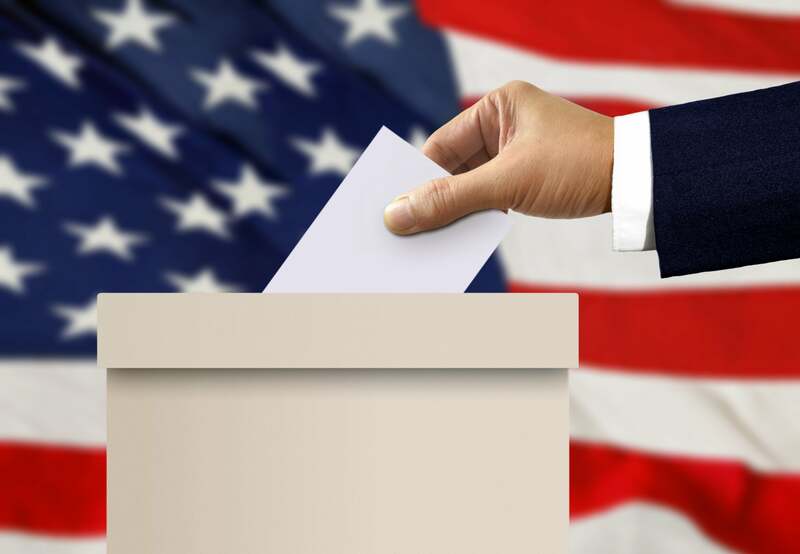 Have you ever considered how effective is the American election process? Does it really vet the candidates and are the voices of the people really considered fully by the process’ end? It is the ultimate battle of: he said, she said. Every election year Americans grow weary of hearing how qualified candidate “A” believes they are and how unscrupulous they feel is the other side. Yet how often have we stopped to determine: Is this the best system—could there be a better way of determining and ensuring the best candidate is placed in office? As Christians we are taught by Jesus Christ to be mindful of our surroundings and to be heavily involved—granted few may at first recall His instructions in this way but consider Luke 21:36. Here we read that we should “watch and pray”—doing so appears to be related to being spared from some impending doom. How is awareness of the current political temperature helpful and even able to give aid to the Christian? A popular maxim declares that knowledge is power, while there is truth that it being equipped with understanding provides comfort and clear direction of purpose, only right actions give true protection. Right actions are trusting in God and His leadership. There are essentially two camps regarding voting involvement among those claiming to be Christian. There are those who believe that they should have no involvement with the political processes of this world and those who believe that no greater voice is more important to be heard in balloting than the Christian voice. In reality both camps have merit and drastic error with their thinking. In truth we should be involved yet the insight as to just how and when must now be considered. In John 18 Jesus explained while being questioned by Pilate that His servants would fight at a future coming time-period. Those who have served in a military function understand, long before one takes the field of battle, that a considerable amount of education must be delivered and received regarding the enemy, their tactics, as well as a clear understanding of the goals and vision of the hopeful future making this battle necessary. The Apostle Paul mentioned in his second recorded letter to the Corinthians that this world is currently operating under Satan and his regime (II Cor. 4:4). Clearly Revelation 12:9 additionally explains that the devil has deceived the whole world. Any who believe they have not been deceived by this ruling order indeed still are under demonic delusion. We must grasp that as physical beings a far more powerful realm is ever-working and that we are unequipped to match wits, overpower or even be unscathed by their influence unless we are provided protection via God’s Holy Spirit. Paul additionally explained in Ephesians 6 that our continual wrestling match is not against a physical foe; able to be seen, wore out and exposed, but against spiritual forces whose wicked intentions are beyond our understanding. These beings are in fact currently serving in high places yet know that their time is limited in which to operate. They have a particular disdain for mankind and are dead-set to obliterate us via our own physical hands through deception. If this world is headed by these demonic forces and they have deceived all who live on earth it’s obvious that this world’s processes (including political elections) are spiritually swayed toward an evil end; even if we ourselves cannot see clearly the motive and/or end. Furthermore, how can any candidate who does not even recognize these forces as currently operating truly bring good (Godly) results? Doesn’t this again make obvious that Christians—those led by God’s spirit (Rom. 8:9)—should stand up and be heard to ensure right results in an ever-darkening world? Nebuchadnezzar in the book of Daniel learned the hard way, that God is able to get man’s attention; regardless of how high-ranking that man is or over what nation he rules. In Daniel 2:21 we read that God sets up and removes leaders as He sees fit. In chapter 4:17 it’s further explained that He sets in these offices the basest (least qualified) of individuals. Truly few men in the course of human history have ever learned to rule their own selves—yet the masses of society mutually agree somehow that there are men fit to rule over others. This seems to be a thought about which few stop to consider. God’s original intention was for man to rule over himself. However, upon selecting Satan as the god of this world, Adam in the third chapter of Genesis chose to submit himself under satanic rule. Satan grasped that to sufficiently destroy mankind he would have them rule over each other. This way man would see his fellow man as the enemy and not recognize who really is to blame. This is why Jesus Christ—the second Adam (I Cor. 15:45-49)—qualified to regain His throne and give man again (in God’s Kingdom) a chance to rule (Rev. 5:10). While Satan indeed is currently in charge on this earth, God still reserves the right to influence certain men’s thoughts when and as it suits Him and His overall purpose. This can be understood by reading Prov. 21:1. Some few may still fail to understand how Satan can be in charge on earth, while God still involves Himself whenever He sees fit. To see this more clearly notice the conversation between the devil and Jesus Christ in Luke 4. In this account Satan offers to give Jesus power over the kingdoms of this world, if Jesus would worship Satan. Notice Jesus didn’t correct Satan by stating that he didn’t have this authority to give to another, but rather Jesus knew who currently had authority on this earth and explained that we are only to worship God. Jesus clearly demonstrated that He grasped and recognized Satan’s temporary rulership over this earth but this account also shows that God can intercede as He wishes since He sent Christ as the Messiah—a messenger from a future coming government to be established on this earth—the Kingdom of God. Throughout scripture our reward is shown to be given and demonstrated on this earth (Matt. 5:5). However, it’s currently located in heaven (Heb. 12:22). In John 14:2-3 we understand that Jesus ascended to and now prepares in heaven our reward. When He returns, He will have our offices of government (mansions) with Him, that we may then occupy them. Remember we will be turned into spirit beings no longer in the flesh (I Cor. 15:52). Spirit does not need a physical residence but rather can operate in a spiritual office. When Jesus Christ returns to this earth He will bring the kingdom of heaven with Him. Therefore, Jesus taught in the model prayer found in Matthew 6 that we should pray “Thy Kingdom come”, it is yet to be established on this earth. Christ later expounded further on this understanding in John 18:28-37 where He explained a future timing would come when His servants were to fight to finalize the establishment of God’s Kingdom. Originally, upon creating mankind, God intended that every man and woman rule over their own lives—self-govern. It was only after man chose to select Satan’s rule that man was then placed over other men to rule. Too often people assume that voting is just simply the way things have always been or come from some providential plan since the framers of our constitution gave reference to God as a higher power and also implemented this system. While democracy is, as Sir Winston Churchill stated, “the worst form of government except all those other forms…”, in a speech he delivered to the House of Commons on November 11, 1947, it still serves America well. As a democratic republic, America could thrive provided the citizenry obeyed God and looked out for the good of his fellow man. However, politics today is not about the greater good but individual desire. The American public foolishly believes that the candidates who have pushed themselves forward as qualified can serve the nation’s best interest. Make no mistake, neither candidate regardless of their promises or partisan rhetoric would give their life for this nation. Their own bank accounts, bellies and pride drive their intentions. The idea of each politicians feigned humility could almost be laughable, if such serious consequences were not involved. Consider, they scrap and fight like school-yard bullies to get through the primaries then once they come out “on top” amongst those they supposedly count as partisan peers they then display themselves as humbly accepting the nomination of their party. What a joke. It is akin to threatening all of one’s fellow office workers into honoring you and then acting shocked and humbled upon receiving recognition and reward from them. Individuals who can succeed in that type of environment—of only looking out for number one—are not humble or servant minded. Jesus stated in Matthew 6:24 that no man can serve two masters, however the American public disagrees with this sage logic. Instead we believe that the President elect, whom we hope to be placed in office, will serve our wishes as well as their own. It is believing that “our” candidate CAN serve two masters, his/her own interests and ours. Granted some decisions which the new president will make benefit some of the people who voted for them—but rest assured they will have first considered their own legacy and interests before your own. All people have found that they incorrectly read the heart of another individual at some point in their life. No one, regardless of skill, education or even in proximity to another can fully and completely know the heart of another individual. The prophet Jeremiah states then asks in Jeremiah 17:9 “the heart is deceitful… and desperately wicked who can know it?” The next verse gives the answer, and it is only God. Only God knows what goes on in the mind of men; only He can read the intents of the heart. 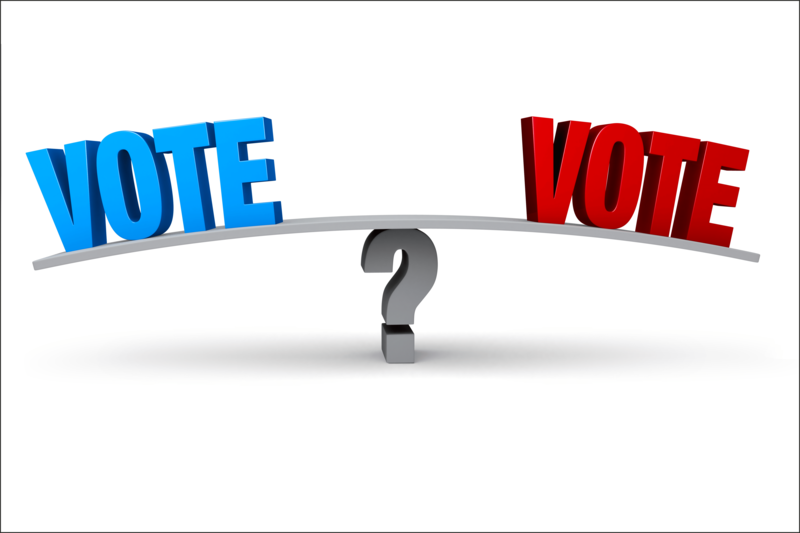 When voting, it is determining who best can serve based upon the information that the individual who is seeking election gives. It is a flawed system. So What Then Should The Christian Do? If the system is flawed and participating in a faulty system is to be rejecting God’s form of governing, then how should Christians vote? The answer was given directly from Christ. Matthew 6:10 explains that we “vote” daily of this worlds governments ‘no contest’ and rather await a better while praying for God’s Kingdom to be established. Take by Force: this method is obvious and is when one man takes over another’s office by simply removing the former person, usually by means of war and often even death. Infiltrate from Within: Many have defeated other governments by secretly (not openly) planting individuals or ideas inside the government they hope to take. It is widely understood as the concept of ‘divide and conquer.’ Satan himself cunningly used this method when deceiving Adam and Eve to reject God’s rule through the spreading of doubt in Genesis 3. To Politic—to convince you to have a better way openly: This is openly (not secretly) debating and ridiculing the leader or hopeful leader in order to replace him with yourself. The fourth method is a method God teaches His Church today to practice. It is: Patient Endurance While Awaiting Qualified Righteous Rulership – Jesus Christ will return and when He does He will call upon those who practiced God’s ways. Those people will be placed in offices of His government. His government will be comprised of those this world would never vote into office. The I Corinthian 1:26-29 type individuals which this world sees as weak, base and yes even deplorable. In Matthew 11:12 there is a verse which rarely gets quoted in the churches and thereby is scarcely understood but let’s ponder it. Let’s understand, who are the violent? Many have thought it is speaking of those of this world, but it is not because that would contradict Matthew 16:18, which states that the gates of hell can never prevail the Church. Remember the Church (is the kingdom of heaven in its physical beginning, or put a better way, the Kingdom of God in embryo). So then, who are the violent? The answer is that it could be you. You must be the violent, but not in the manner most think of being violent. Our violence is not against a government per se, but rather against our natural selves who will comprise God’s Kingdom. We must measure and take out our own thoughts and physical actions not born of God’s way. The apostle Paul shared that he beats himself as would any athletic contender and that he strove to master himself (not rule over someone else) in I Cor. 9:24-27. It is only after first mastering the flesh through God’s Holy Spirit working in us and then becoming fully a part of the Kingdom of God can we be qualified to grasp what is in a man’s heart. No candidate willing to serve in this world’s governments are fit to lead because they yet practice sin habitually. A nation divided against itself will fall declares Matthew 12:25. Therefore anytime a nation has divided parties from which to choose one can know that the nation is divided and has a limited existence. Further, the principle could be extended to an individual. Anyone choosing to take part in a falling nation’s actions are choosing to fall themselves. They are not part of the solution but the problem. However, living according to and fully supporting God’s Kingdom is placing your treasure in heaven and its kingdom will not fall. God is calling people today to come out of confusion (Rev. 18:4). Generally, people understand confusion to be religious-confusion but make no mistake, politics is a religion. We, those called by God (John. 6:44), are to be coming out of this worlds way and learning a new way of life. The evening of Tuesday Nov. 8th will declare a new President elect. The larger portion of the nation and its delegates will rejoice and the smaller in number will proverbially experience that indeed “hope deferred makes the heart sick” (Prov. 13:12). Neither party nor the nation though, will truly win. We will find that in four more years the process will repeat and division will continue to define this system. Alexis de Tocqueville a French diplomat wrote upon his visit of the young United States: “America is great because she is good (Godly) if America ceases to be good (Godly) America will cease to be great.” Clearly, his words a century and half ago were and remain true today. If our nation wants to be blessed with great leadership we must understand that it will not be voted in by the masses but rather established upon Christ’s return.